Eric Keegan has been writing novels and screenplays since 2005 but only recently became an avid and enthusiastic reader. The two hundred books he has read in the past three years have helped him hone his own writing style. Eric likes to go against the grain when crafting his stories. Eric currently works in manufacturing. When he isn’t working or writing, he seeks inspiration through his travels and in the great outdoors. He has never forgotten his Eagle Scout training and still finds nature a welcome respite from the stresses of daily life. Strange Cars in the Night is a savage debut poetry collection that moves at breakneck speed, written in the taste of a modern-day Hunter S. Thompson. It continues to unfurl Eric’s stream of conscious writing style onto the page and depicts an almost hallucinogenic recounting of what happens every night when the moon comes out to play. I love reading poetry and this was one of those books with poetry that you just absolutely fall in love with. It’s written in a sort of stream of consciousness and it feels like you’re reading someones thoughts out loud. Instead of trying to prove a point or trying too hard these poems flow naturally. Like I said in my last post I’m a really big fan of Keegan’s writing and I love his style. This book is probably my favourite book that I’ve read this year and I would definitely highly recommend checking it out! For more book reviews click here. The titular character in Eric Keegan’s The Dioramist is in the throes of a quarter-life crisis. He may only be in his midtwenties, but the dioramist finds himself lost and confused. He has spent so much of his time in an ill-defined relationship that he doesn’t understand himself apart from his partner. When a friend suggests that he begin writing down his inner thoughts, hopes, and dreams, our hero sets off on an adventure that shows him a new passion in life. Writing becomes fundamental to his identity, but he isn’t sure if he has the courage to share his thoughts with the world. At the same time, he struggles with his relationship with his ex-girlfriend Elizian. The two have been in a holding pattern for so long that neither is sure they’re ready to make the next step. As the writer gains enlightenment about his own life, Elizian will be inspired to seek out the same. This intimate, personal look at one man’s journey shows the many different routes recovery can take and reminds you that it’s never too late to fall in love with something new. I loved reading this book. I’m just going to get right into it and say this was one of my favourite books I’ve read recently. I love Keegan’s flow and the way his books are so free and like a stream of consciousness. It was also quite relatable because being in your twenties is so super confusing and scary but it’s also where you find yourself and realise what you really want in life. I would definitely highly recommend checking it out! In a dystopian world, cyborgs have taken over. To escape persecution and genocide, a ten-year-old girl, Nuha Edel must run away from a war her elders have started. With the spread of an unknown disease and the rise of anarchy, Nuha tries to flee from the wreckage of war but instead ends up in the arms of the cyborgs, who are programmed to kill her kind. The real problem erupts when Nuha realizes that the war she’s running away from is a part of who she is. Being born different is not a blessing but a curse and the only way to uplift that curse is to fight or fall, and Nuha is ready for neither. The City of Saints is an unforgettable tale of kinship and betrayal, enmity and forgiveness. It transports the reader into a future where artificial intelligence and humans are fighting for humanity and morality. A future steeped in blood and revenge, loyalty and remedy. It explores how history has the ability to resurface, no matter how deeply it is buried. After the second treaty was broken by the hoods, the cyborgs waged for; killing whoever came in their way. Its history repeating itself all over again with bans, segregation, alliances and peace treaties. Nuha Edel, a ten-year-old girl finds herself trapped in a war her elders had started. She goes on a journey to find her father who had disappeared six months ago. But stumbles upon Specialized Assassin Military-bot, SAM who vows to protect her. On their path to safety, SAM and Nuha meet an old man, Xander who is greatly affected by a water-borne disease. Can a ten-year-old girl, a cyborg, and an old man find an escape from the extinction of mankind? A. Rinum was born in Kharian, Pakistan. She moved to the United States when she was four years old but moved back to Pakistan at the age of eight. When she was fourteen years old, her family decided to move back to the states again. Currently, she lives in New York City and is obtaining her Bachelors in Biochemistry. Rinum started writing at the age of ten and is currently working on a poetry book. So I’m going to try really hard to review this book without giving away any spoilers because I felt like one of the best parts of reading the book was the twists and turns. To begin with I thought this was a really great book overall. The writing was good, the plot was unique and fascinating and the characters were inspiring and relatable. I have been a really big fan of dystopic books since I was in high school and one of the themes we had to write on was dystopia. I think that was one of the reasons I really enjoyed the book. The character of Nuha was a really great one too since she is a ten year old which brings out her innocence and purity. The rest of the characters are also easy to bond with and be empathetic to. The plot was really interesting and I think the story line is really great. It’s one of those books that takes unexpected turns and twists that leave you wanting more. I would definitely recommend this book to anyone who is a fan of dystopic novels or futuristic books. Even if you aren’t a huge fan of dystopia I would still recommend checking out this book I think you will be pleasantly surprised! To get this book on Amazon click here. To check out this book on Goodreads click here. Also be sure to check out the author’s site here. This is a book about a girl who made a wrong choice. It will bring her humiliation and disgrace. Her relationship will bring out the worse from her. She will gamble with her reputation, lose her friends and dignity. All for the guy who just wanted the one-night stand. Before I start this I just want to appreciate the fact that Kristina’s first language is not English yet she has managed to publish a number of books in English which I think is really inspiring! I am not a fan of books about love and relationships in general so I was slightly skeptical about this one. However, I knew that it would be interesting since I have read other works written by Kristina and I was impressed with them. As expected I was pleasantly surprised by this one too. The book is about a girl, Renata, who falls in love with a man, Davon, who clearly doesn’t want the same things as her from the relationship. It’s eye opening and beautifully realistic. If you’re sick of reading about super feminine women who are portrayed unrealistically this is definitely the book for you. I would definitely recommend it and even if you usually don’t read these sort of books in general. Also be sure to check out Kristina’s blog here. Recently I signed up for Bookbub and honestly it has been such a great experience! You guys have probably heard of it but just in case you haven’t heard of it basically what they do is they email you a list of books that are on a discounted price or going for free on Amazon. I decided to sign up for fun not expecting much but in the last few months I’ve ended up getting over a hundred books for free and I had to share it with you guys in case any of you would be interested in it! I wanted to wait a while to make sure it was legit and that I wouldn’t end up having to pay for anything but so far it’s totally legit. And the best part is that it’s a completely free site. All you have to do is sign up! For more on BookBub click here. For more posts about books click here. 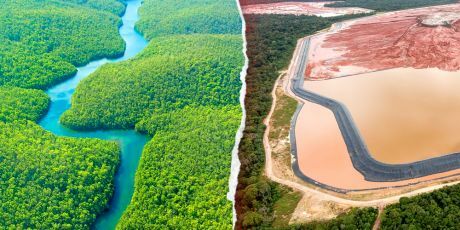 Please Help Stop Vast Pollution and Destruction from Mining in the Amazon! Sign the Petition! Please help protect the Amazon from irresponsible large-scale mining! It is highly polluting and destructive! Please sign the petition and send it on to friends. Your commitment to sustainability is meaningless if you invest in projects like Belo Sun’s mining project in Volta Grande, in the heart of the Brazilian Amazon. As citizens of the world, we call upon you to use your power to withdraw all your investments from this crazy venture, which threatens to inflict irreversible damage to the environment and the local indigenous communities. It is not too late to make it right. Brave indigenous tribes are fighting a Canadian mining giant that plans to open a toxic gold mine in the heart of their sacred Amazon lands! One tribe is facing extinction if this disaster goes ahead — now grassroots groups are asking for our help! As you guys know I’m always happy to support fellow bloggers when they have books out or are doing anything awesome and it turns out Kristina has a new book out that I read last week! Kristina is a Croatian blogger and indie author who’s writing is mainly about psychology, sociology, human relations and society. She has not only a very thought provoking blog but an interesting new book out! Her latest book is also incredible thought provoking and is about a women trapped in an abusive relationship. It is incredibly realistic and no it’s not your usual guy meets girl story but I would highly recommend it because it gives a great insight into abusive relationships. If this is something you would be interested in reading about I would definitely recommend this book! For more on Kristina Gallo click here. If you haven’t heard of Opher Goodwin you need to check him out right now before I get into this post! So I finally finished Ebola in the Garden of Eden and I have to say it was absolutely phenomenal! Unfortunately, I have had the book for ages but I hadn’t been able to finish it because university was suffocating me! Back to the book, it’s a futuristic book about The Synod which is a group of the most powerful politicians and science. I would highly recommend this book to anyone who is into science, politics or futuristic books! Also he has a bunch of other books in lots of different genres so check out the list and find something you like! He’s an amazing writer and I’m sure you won’t be disappointed! For more on Opher click here. A fellow blogger and friend has published his book and I would really appreciate it if as many of you as possible take some time to check it out! He is a really amazing writer and I know you will not be disappointed! For more guest posts click here.